Trained in Poland and Russia, Ms. Ela has danced and taught professionally throughout Europe. 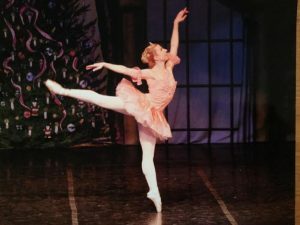 Since moving to the U.S. in 1996, she has been nurturing and inspiring young dancers in mid-Michigan. @1235 Center Street in Lansing! Click on “Academy Classes” to register! Ms. King’s classes will include a jazz-based warm-up and across the floor. Plus, a contemporary jazz choreography combo to finish the class. The later class (designed for younger dancers) will be on a slightly slower scale.